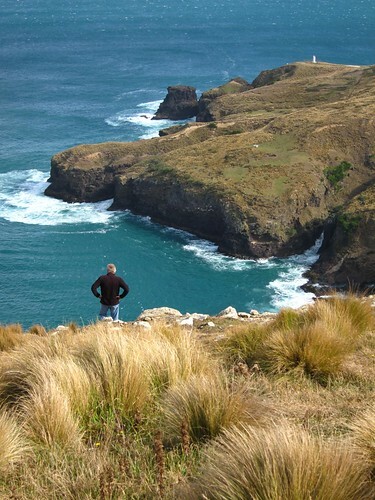 I’m a keen amateur photographer and love to see wildlife in it’s native environment so doing an Elm Wildlife Tour of the Otago Peninsula near Dunedin was one of the highlights of my recent whirlwind week exploring New Zealand South Island via Dunedin. The tour guides including Elm Wildlife Tours co-owner Brian Templeton and his staff clearly knew all about the landscape and wildlife we saw during the tour as well as keeping the wildlife #1 priority by warning members of the group to stay far enough from the animals so they wouldn’t be disturbed. My goal for this trip to NZ was to take a really great photo of a Penguin which I managed to do lying down on the ground so that I could photograph the penguin from it’s own height with the waving grass in front and behind the penguin blurring nicely. 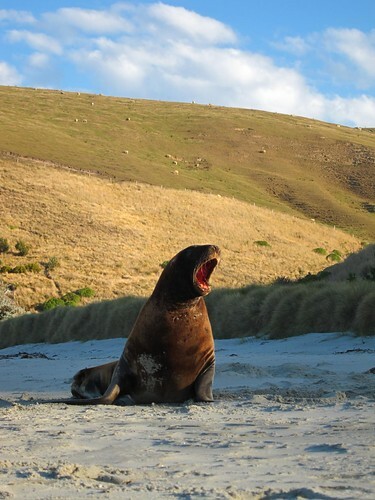 I also managed to capture a great bonus sequence of photos of a yawning sea lion thanks to the Canon EOS 7D’s phenomenally fast machine gun like ability to take 8 high resolution photos/second. 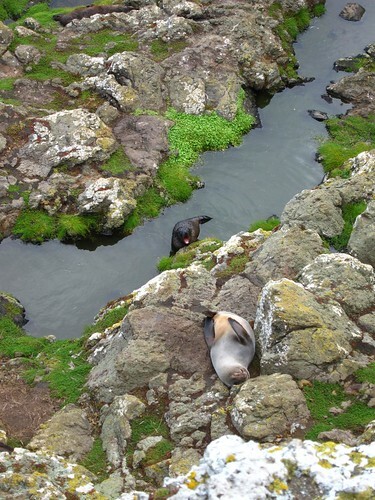 For me the penguins and sea lions were the stars of the show but you will also get the chance to see other wildlife including New Zealand Fur Seals. 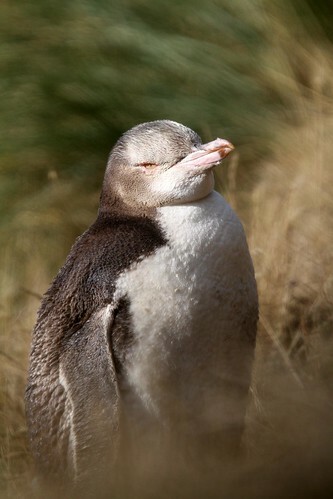 Very good photos of wildlife in NZ. I am now more eager to have a tour with our club members. Hi – nice photos Neerav. It’s certainly a great part of the world! 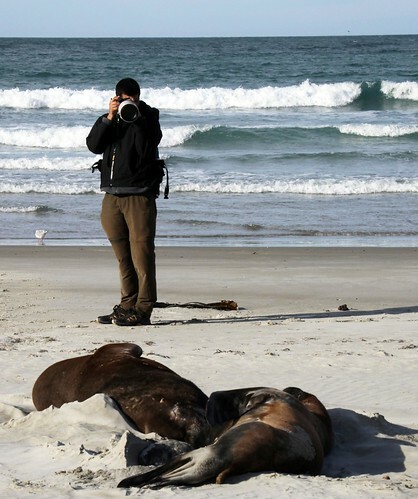 Good photos you’ve got there sir..i don’t think you are a amateur photographer.